Overall, 37.9% of the respondents were knowledgeable. Women mention three and more key danger signs during pregnancy and after delivery were 15% and 18.5% respectively. Decision making power of women [AOR = 1.59, 95% CI 1.10, 2.29], starting antenatal visit lately [AOR = 3.1, 95% CI 1.63, 6.33], housewife [AOR = 2.15, 95% CI 1.25, 3.68], merchant [AOR = 2.01, 95% CI 1.05, 3.88], and government employees [AOR = 2.75, 95% CI 1.38, 5.49] were among the predictors of knowledge on obstetric danger signs. Obstetrics danger signs (ODSs) are unexpected symptoms that can lead to maternal health complications which occur during pregnancy, childbirth and after delivery . Most could be prevented or managed if the woman had aware of it and seek medical care without delays [2, 3, 4, 5]. Thus, Safe Motherhood initiative advocates the provision of advice during antenatal care (ANC) about ODSs and how to seek medical care for pregnant women and their families when raising these sudden obstetrical complications. This is viewed as central strategy to reduce delays in seeking skilled care . Evidence suggests that ensuring the accessibility and use of obstetric services, and raising the awareness of women about ODS could save 310,000 newborn lives a year, and also, improves early detection of problems and reduces the delay in decision to seek obstetric care. Improving knowledge of women on ODSs enhances utilization of skilled care and decreases pregnancy rates in low-income countries [7, 8]. While a number of countries have made substantial progress in reducing maternal and child mortality, the high rate of maternal and neonatal mortalities related to obstetric causes. However, are still of great concern for many sub-Saharan countries including Ethiopia where the Maternal Mortality Ratio (MMR) is declining steadily [9, 10]. The World Health Organization (WHO) estimates that, currently 287,000 women a year die of preventable complications related to pregnancy and childbirth; the majority of these (99%) occur in developing countries and, out of those, 51% occur in the Sub-Saharan region . Though, the 2015 target of MMR for Ethiopia was 218/100,000 live births, the 2005 and 2011 Ethiopian Demographic Health Surveys (EDHS) reported MMR were still high 673 and 676 respectively [12, 13]. Also the report of mid-term review of the Health Sector Development Program (HSDP-III) in Ethiopia related to maternal and neonatal health, at the community level, indicated limited progress in educating communities regarding danger signs during pregnancy and child birth . Low coverage of maternal health services and high rate of neonatal and maternal mortalities related to obstetric causes are still of great concern in Ethiopia . Lack of awareness of on obstetric complications might be the reason for failure of women to attend health care facilities, which initiated us to study level of knowledge and associated factors on obstetric danger signs. Community-based cross-sectional study was conducted at Bahir Dar City Administration from March 1–30, 2013. The city is located approximately 565 km Northwest of Addis Ababa, capital city of Ethiopia. It has 12 rural and 9 urban kebeles. The projected total population of the city was 251,309. Of these, 30,877 were female in reproductive age. More than 47 health institutions were available in the city administration in different level . All mothers who gave birth prior to the study were the source population. This study included all women who gave birth within 1 year during the data collection period. Mothers who had severe health problems during data collection period were excluded. The sample size was determined using single population proportions, 95% confidence level, 4% marginal error, 30.4% of prevalence from previous study , design effect 2, and 10% non-response rate, the final sample size was 715. Multi-stage sampling technique was applied to identify study participants. First, all the Kebeles (the smallest administrative unit in Ethiopia) were stratified into urban and rural. Two urban and three rural Kebeles were selected by simple random sampling. Then, total sample size was allocated proportionally on each kebele. Finally, systematic sampling technique was employed to select the study subjects. Structured interviewer-administered data collection formats were developed from different literatures. Ten diploma Midwife interviewers and four BSc nurse supervisors were recruited and trained for 2 days. Face to face interview was done at the participant’s house. The questionnaire was piloted on 5% and necessary adjustments were made. The knowledge of ODSs was assessed by ten items questions such as: during pregnancy (severe vaginal bleeding, swollen hands/face, and blurred vision), delivery (severe vaginal bleeding, prolonged labor, convulsions, and retained placenta), and postpartum period (foul-smelling vaginal discharge, and high grade fever) which has yes no response. Score one was given if the response is correct and zero was given for wrong response. The sum of responses above mean was considered as knowledgeable . The supervisors and investigators have checked the filled questionnaires on the spot and correction was made on a daily basis. Knowledgeable on pregnancy ODS—ability of women to mention at least two of the three key ODSs during pregnancy. Knowledgeable on child birth ODS—ability of women to mention at least two of the four key ODSs during child birth. Knowledgeable on ODS after delivery—ability of women to mention at least two of the three key ODSs after delivery. Overall knowledgeable: the ability of participants to mention above the mean of the selected ten key commonest ODSs. The data entering and cleaning was done through Epi Info version 3.5.3 and transported to SPSS version 16 for analysis. Both bivariate and multivariate logistic regression analyses were applied. A P value < 0.05 was considered statistically significant at 95% confidence level. Backward stepwise logistic regression analysis was employed to determine the putative association of independent variables with the outcome variable. Out of a total of 715 women planned to be included in the study, 701 women were enrolled in this study, yielding a response rate of 98%. The mean age of the study participants was 28.6 years with SD of ± 6.6 years; three-fourth of them, 529 (75.5%) were in the age group of 20–34 years. Regarding to residence, 555 (79.2%) the respondents were urban dwellers. Most of the women, 565 (80.6%) were Orthodox Christians. Majority, 687 (98%) of them belonged to Amhara ethnic group. Two hundred fourteen (30.5%) respondents didn’t attend formal education. Housewives were 430 (61.3%), and 351 (50.1%) study participants got < 881 Ethiopian birr monthly. More than six in ten, 437 (62.3%) women lived within family consisting up to four members (Table 1). Severe vaginal bleeding was the most frequently identified ODS during pregnancy (81.6%), delivery (82.2%) and after delivery (85.3%). On the other hand convulsion was the least mentioned ODS during pregnancy (10%), delivery (7.3%) and after delivery (8.8%). Despite the problem few women knew retained placenta (59.6%) and prolonged labor (51.6%) as danger sign related to delivery (Table 2). The respondents were able to mention two key ODSs related to child birth, 418 (59.6%) and 199 (28.4%) after delivery, only 157 (22.4%) of them identified two key ODSs during pregnancy. The overall result indicated that, 266 (37.9%) of the respondents were knowledgeable regarding to the key commonest ODSs. The multivariable logistic regression analysis revealed that Government employee [AOR = 2.75, 95% CI 1.38–5.49], merchants [AOR = 2.01, 95% CI 1.05–3.88], housewives [AOR = 2.15, 95% CI 1.25–3.68], women decision to seek medical care [AOR = 1.59, 95% CI 1.10–2.29] and timing in antenatal service utilization [AOR = 3.21, 95% CI 1.63–6.33] were statistically associated with knowledge on OSDs (Table 3). The overall result showed that 37.9% of the respondents were knowledgeable on the key commonest ODSs. This result is higher than study in Egypt (26%) . The difference could be attributed to the time gap between the studies. Additional explanation could be the emphasis given by Ethiopian government in the last 5 years to improving maternal health services program. In our study 22.4% of women were aware of at least two key ODSs during pregnancy. This finding is consistent with the study conducted in Pakistan (22%) . However, the result of this study is lower than the studies done in Kenya (67%) , Tanzania (26%), and Uganda, 52% [21, 22]. The discrepancy might be related to operational definition given for knowledge on ODSs. In the previous studies a woman was considered knowledgeable if she answered at least one danger sign unlike our study in which at least two danger signs were required to consider knowledgeable. The finding of this study indicated that 59.6% of mothers were aware of ODSs during childbirth. This is higher than the study done in Southern Ethiopia (41.3%) . This difference could be due to the time gap of the studies and geographic difference; while this study was done in city administration whereas the previous study included the whole district in which the majorities were rural dwellers. In this study 28.4% of women were aware on ODSs of postpartum period. This result is lower than the study result in Tanzania (40%) and Uganda (72%) [21, 22]. The difference could be attributed to the difference in geographical area, health care system and socio cultural factors. Severe vaginal bleeding was the most frequently reported ODS during pregnancy (81.6%), labor (82.2%) and post-partum period (85.3%). This is consistent with studies done in Southern Ethiopia , Kyrgyzstan and Tajikistan and Uganda [17, 22]. This could be related to the visible nature of severe vaginal bleeding which can be easily recognized by women. 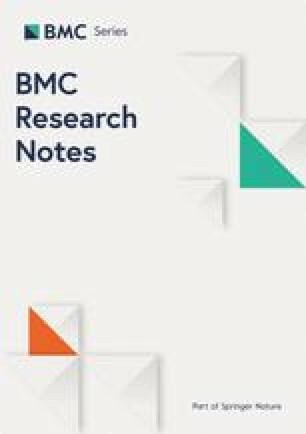 Despite the fact that prolonged labour is the top most cause of mortality in Ethiopia , however, low proportions of women (51.6%) were aware of prolonged labour in relative to severe vaginal bleeding. This could be due to cultural and religious beliefs. As many participants were Christians, they could view labour pain as the way God intended, so that they might remain at home for longer period. Housewives, merchants and government employee were more likely to be knowledgeable than other occupations. This result was in line with the studies from Egypt and Zambia [19, 23]. Women who were authorized to seek medical care by their own decision were more likely to be knowledgeable than women for whom decision was made by other family members [P = 0.013]. This result was consistent with study finding in Uganda . The correlation of decision power and knowledge could be due to high household asset owner ship of women in which they were not waiting for permission of the relatives and pocket of their husbands. Those mothers who initiate first ANC on third trimester of pregnancy were more likely aware of ODSs than those women whose first ANC visit was on the first trimester of pregnancy [P = 0.001]. The possible explanation of this might be related to parity. In this study most women who start first ANC on third trimester were multiparous. Therefore, ANC and education in their previous pregnancies could have an effect. In addition, women could have given more attention for health information they got when they were near term. Women had limited knowledge on ODSs during all three periods, more particularly during pregnancy. Low decision making power to seek care, early antenatal visit, being student and daily laborer, were among the predictors of lack of knowledge on ODSs. Therefore, there is critical need for provision of information on ODSs during the ANC period to facilitate the recognition on ODSs and access to skilled attendance services. We recommend that further studies need to be conducted to address all the three delays factors in a longitudinal approach. Being a cross sectional study we can’t test the effect of knowledge on better maternal and neonatal health outcome. Recall basis may be also the limitation of the study. AAN wrote the proposal, participated in the data collection, result interpretation and prepared manuscript. AAE and YMD participated in statistical analysis, result interpretation and prepared manuscript. EAM assisted with data analysis and interpretation. All authors read and approved the final manuscript. We would like to thank Amhara regional health bureau to supported the study; additional thanks for field supervisors, data collectors and respondents. Also, our deep appreciation extends to Bahir Dar city administration and respective kebeles leaders for providing information with their full co-operation. Ethical clearance was obtained from Amhara Regional state health Bureau research and technology transfer core process. Permission was obtained from health office of the city administration and the respective Kebeles, and received their agreement before the onset of data collection. Then, written consent was obtained from each study participants. Strict confidentiality assured through anonymous recording and coding. Amhara regional health bureau supported the study. The funders had no role in study design, data collection, analysis and interpretation, decision to publish, or preparation of the manuscript.